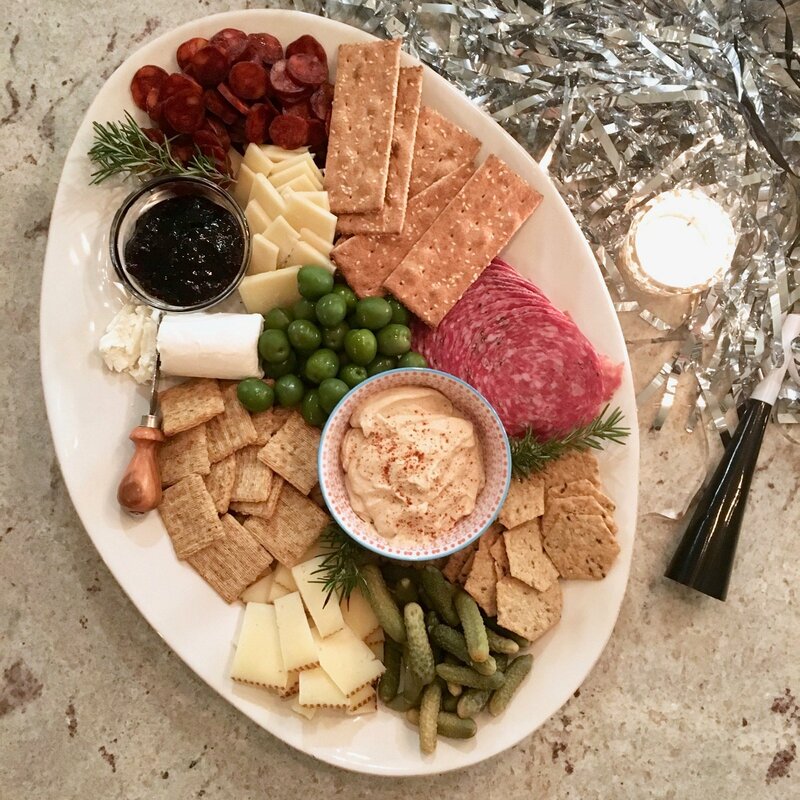 There are many fun ways to celebrate the holidays without succumbing to processed junk food, and New Year’s Eve is no exception! We love to have a few families over to ring in the new year together with lots of fun in store for both the kids and the adults. 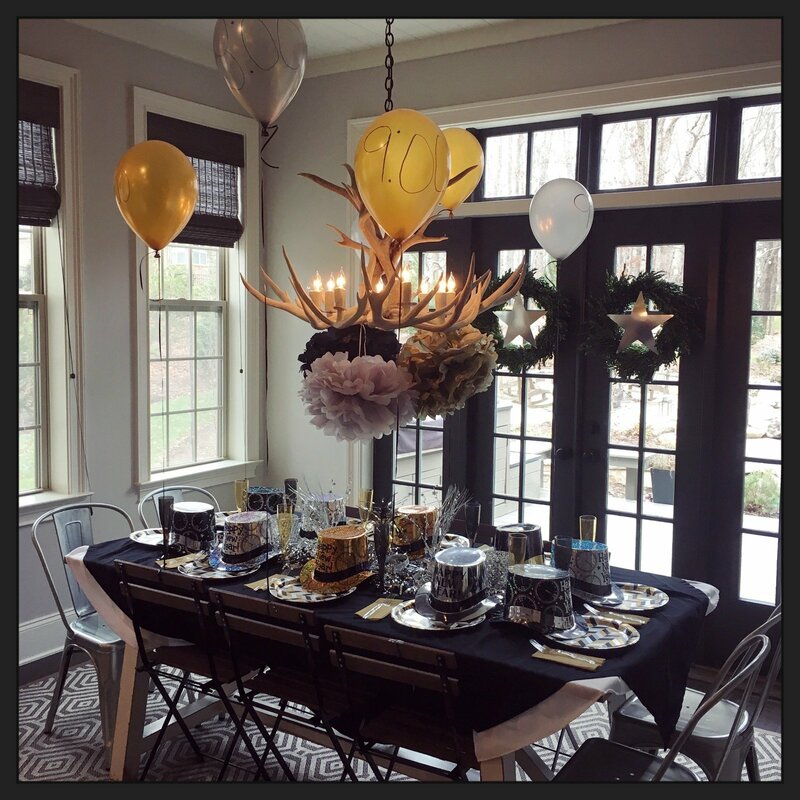 From yummy food to surprise activities, I’m excited to share some of the ways we celebrate New Year’s Eve! 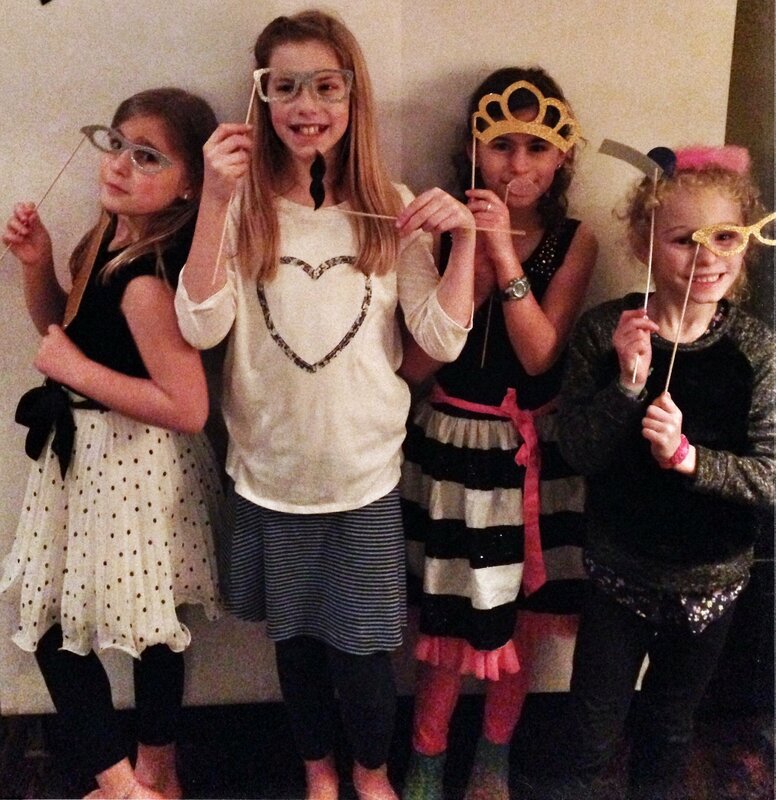 This is hands down my kids’ favorite thing we do to ring in the new year. I come up with different activities that I print and put inside a balloon for each hour. So, for example, when the clock strikes 8 PM, it’s time for one kid (we usually draw names) to take a pin and POP the 8 PM balloon to see what’s in store. Some of the activities are simple, such as pop holiday crackers or open glow sticks and watch a movie. 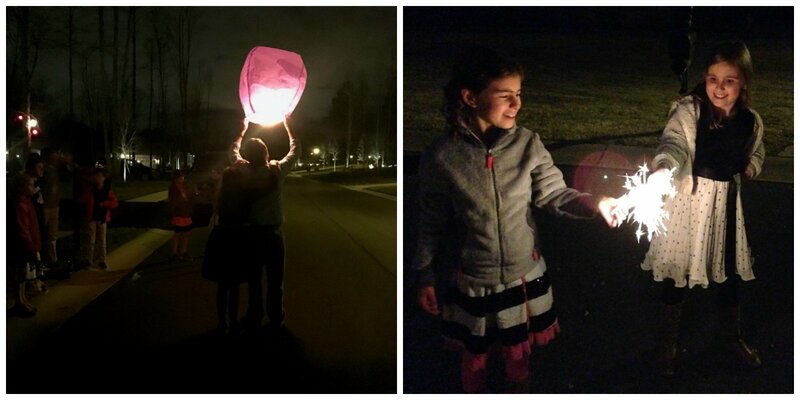 Some are more complex, such as go outside to light sparklers and launch paper lanterns – pictured below. You can download and print our full list by clicking the button below, which is ready to cut into strips to go inside the balloons. I just use a sharpie to write the corresponding time on the outside of the balloons. It’s fun to make this an exciting night for everyone so I love to make the kids’ table as festive as the adults’! 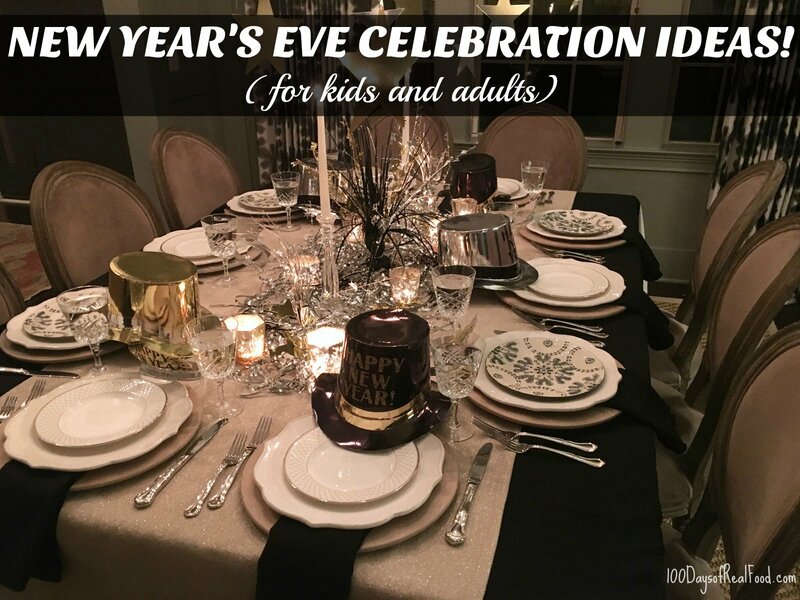 I always give them plastic champagne glasses (for non-alcoholic sparkling drinks, of course), noisemakers, party hats and printables full of activities (that you can find on all sorts of blogs online). One year I also covered the whole table with white butcher paper and gave them all markers so they could just go nuts drawing. A little something for the kids, a little something for the adults, right? 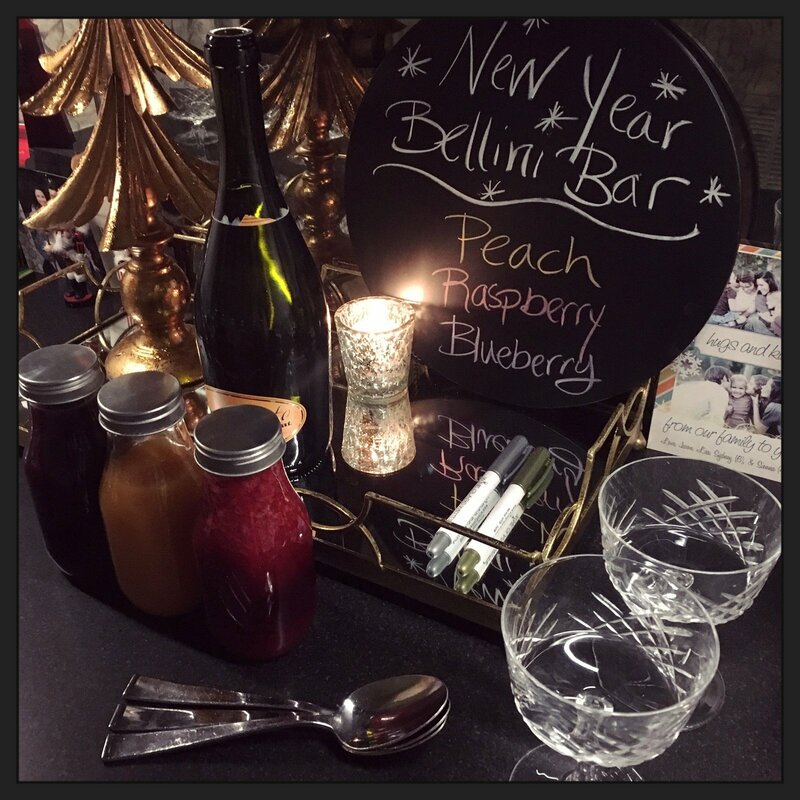 I actually got this Bellini Bar idea online (from Giada) and ended up using my berry sauce recipe to make different flavors to mix into Prosecco. It was super easy and I thought more of a crowd pleaser than a mixed liquor drink (which can either be hit or miss in my experience when it comes to a group, depending on how strong it is). 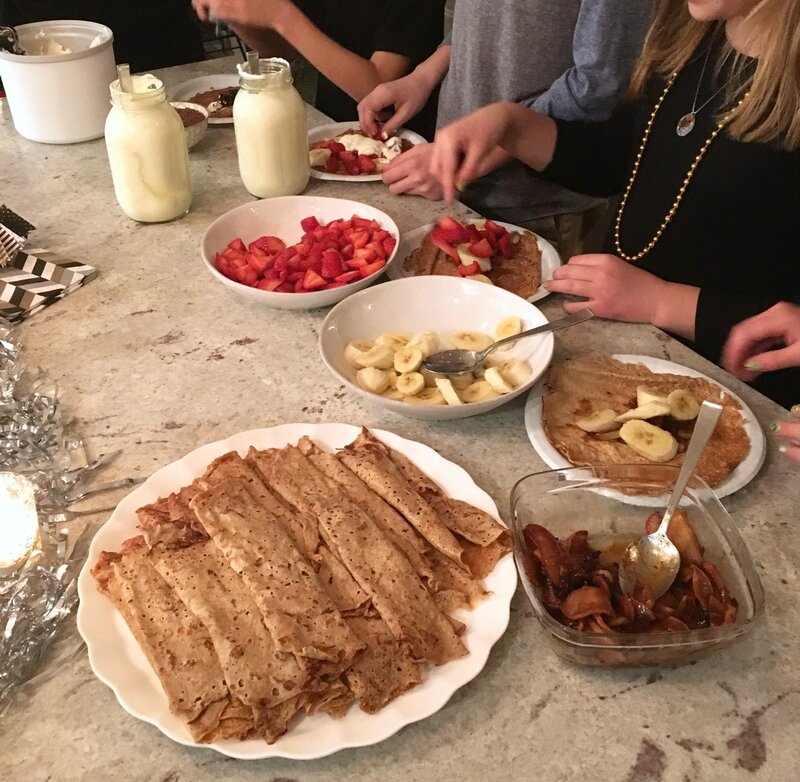 This one is another kid favorite … stuffed dessert crepes! Homemade crepes hold up beautifully when made earlier in the day, or even the day before, so I always knock this one out in advance. Then when the time comes (i.e. the kids pop the balloon that says “It’s time for dessert!”) I just heat them up and put them out with fresh fruit (berries, bananas, and cinnamon apples), homemade ice cream, chocolate sauce and whipped cream. Last year for the whipped cream I put heavy cream into two jars – one for the girls and one for the boys – then had them pass it around and take turns shaking it to see which team could turn theirs into whipped cream first! I recently shared all the details for this appetizer platter that I served last year. I also usually like to make something extra special (for the adults), which often ends up being my favorite – homemade ravioli. Another mom usually brings a salad and another will bring spaghetti or something for the kids because that’s where I do draw the line LOL. 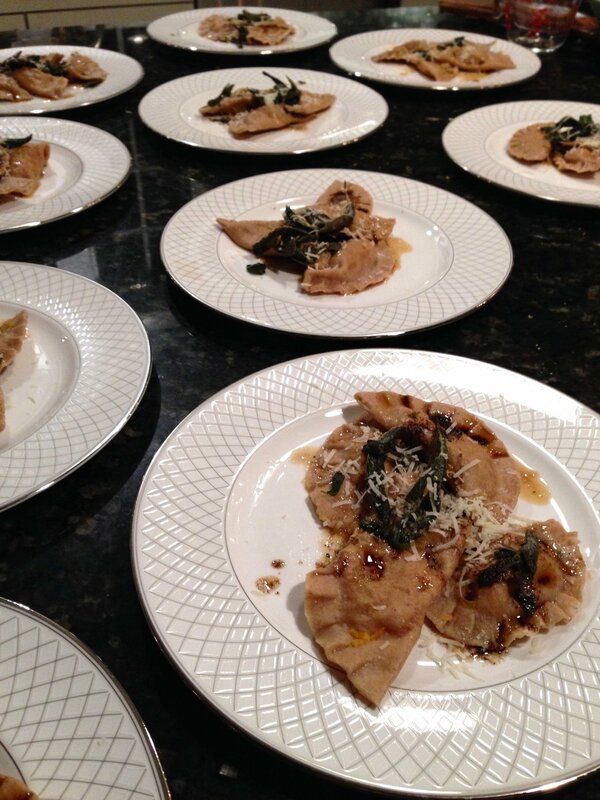 The labor-intensive ravioli entree (which can also be made in advance, thankfully) is for the adults only! Nothing wrong with a little photo booth fun. I usually write the year on some sort of backdrop and let the kids go to town with photo props. Just look at these cuties from YEARS ago! Gosh, they grow up so fast. I’m not sure yet what I am going to give to the kids this year, but what I gave out last year was so much fun I honestly may just do the same thing again! 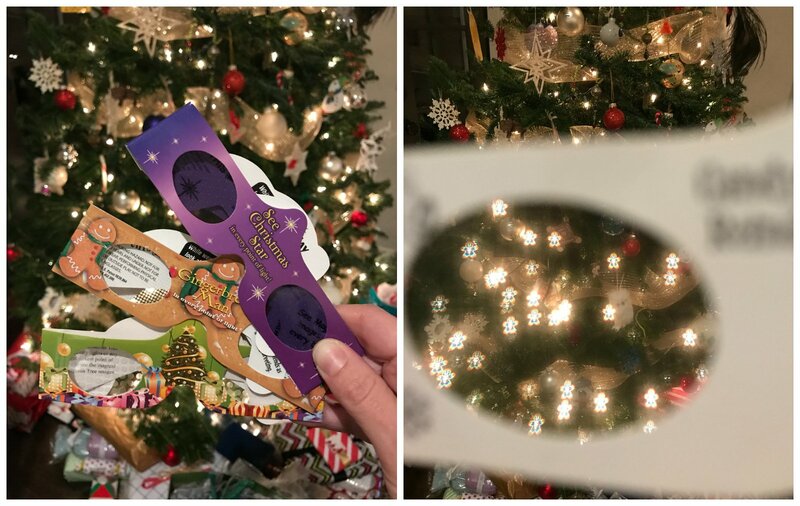 If you haven’t seen these “Holiday Specs” that look like 3D glasses but turn regular ol’ holiday lights into something magical then, you are definitely missing out! They somehow make each and every light look like a snowflake, gingerbread man, elf, star … or whatever pair you have to look through. One mom told me her son held onto his pair and has been showing everyone ever since their holiday decorations went up again this year. They are quite the novelty and not a big investment. Plus it’s fun to collect all the shapes! PS – If you’d like your own copy of my New Year’s Eve Balloon Countdown, you can download it from our Free Membership Area! Click the button below to join and gain access. Hello! These are wonderful ideas! Also, I would just like to take a moment to thank you. You have truly changed my life. I was borderline in need of medication for my cholesterol and didn’t want to go on medication so a friend recommended your book and in the first month my bad cholesterol dropped 20 points! And now after 2 1/2 months, I have lost 30 pounds and still losing. I know keeping this up must have its drawbacks and isn’t easy all the time so I hope when things get tough you will be able to think of people like me and know what a difference you are making in our lives. I’ll never be able to thank you enough. Really Amazing. These ideas has made my new year very special. Thank you so much for giving these great ideas. 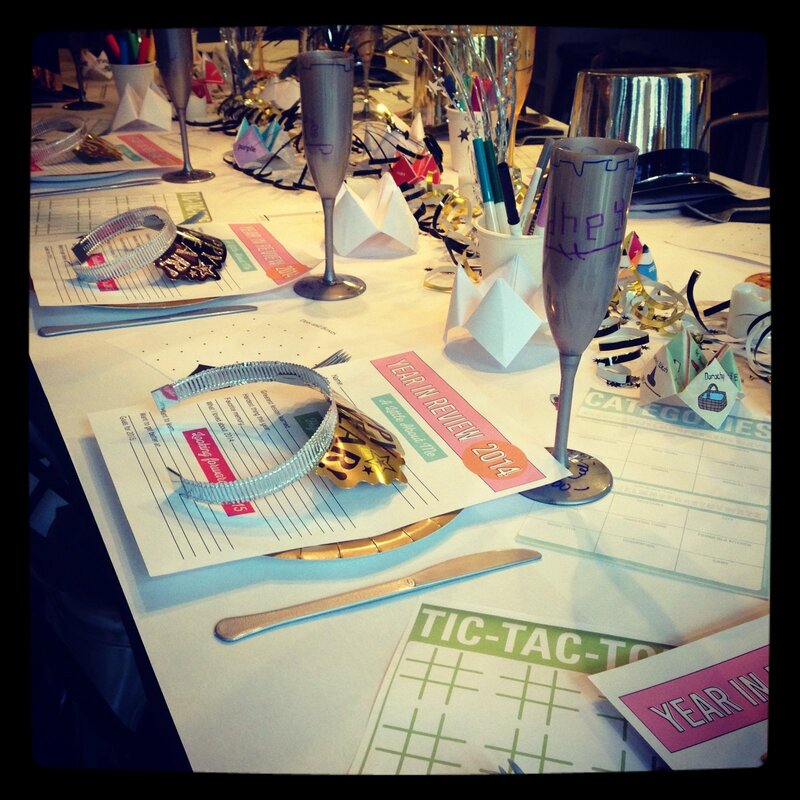 We had so much fun with the New Year’s ideas last year! I jumped back on to print out the balloon count down list again this year and I can’t find it.